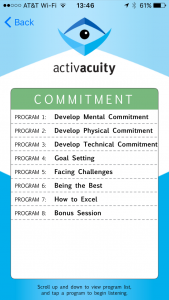 Each segment in activacuity is divided into programs. 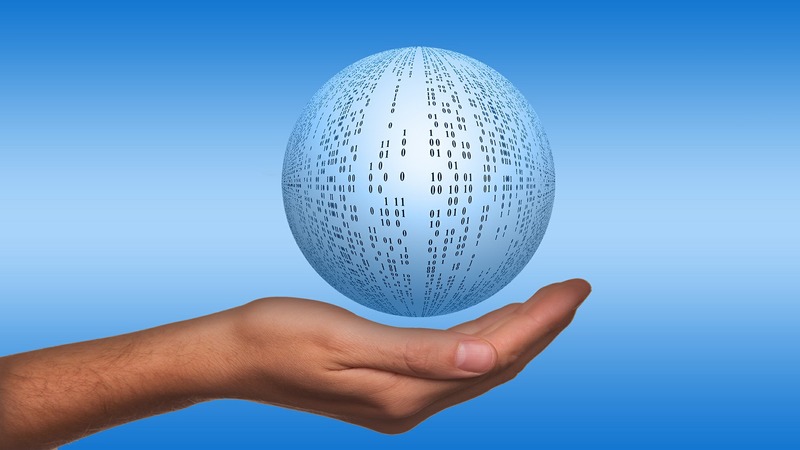 Each program is a concentrated element of each segment – each segment contains a maximum of 10 programs, with the focus segment being the largest and most important. 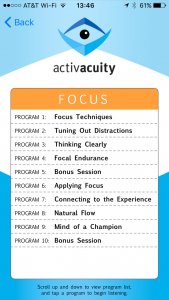 Each program contains sessions that contribute to the overall focus of that program. 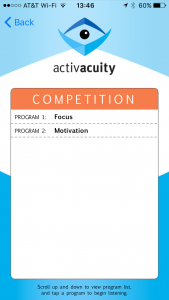 Tap on any program to open the sessions for that program. 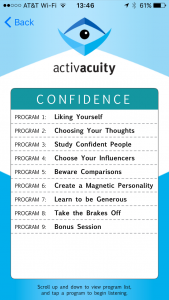 The gallery above shows the programs available for each segment.